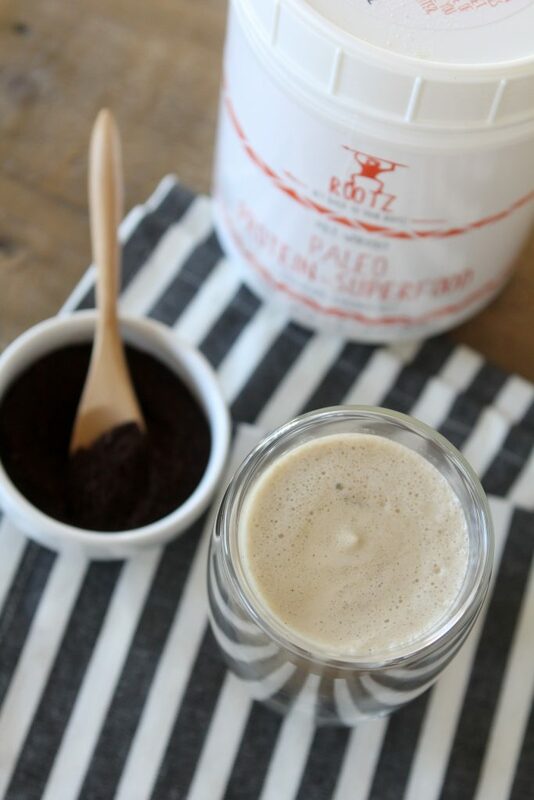 An easy-to-make paleo Mocha Protein Shake recipe from The Whole Smiths in collaboration with Rootz Nutrition. 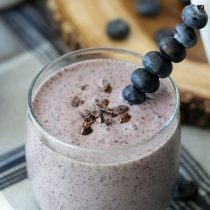 This tasty, quick shake makes a great compliment to your breakfast or any post-workout or on-the-go snack. Ahh December 29th. The time of year where we all look to clean up our diets and repent for our holiday diet misgivings. Maybe you’ve landed here because you’re looking to start eating more of a paleo-based diet. 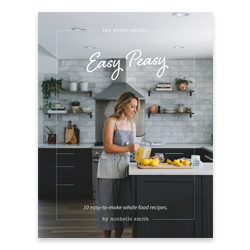 Maybe you’re here looking for lots of vegan recipes (I hate to be the bearer of bad news but I don’t have much for you in that case). Or mayyybe you’re here trying to figure how to generally clean things up. Well, you can cold-turkey it or you can baby step things. Either way will work, you just need to figure out what’s best for you. Personally I started off eating a paleo-based diet and slowly started to eliminate things out of my diet permanently. First to go was soda. Then loads of dairy and so on. 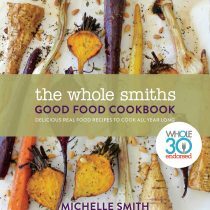 And then I moved on to a Whole30 and really wiped some things out. 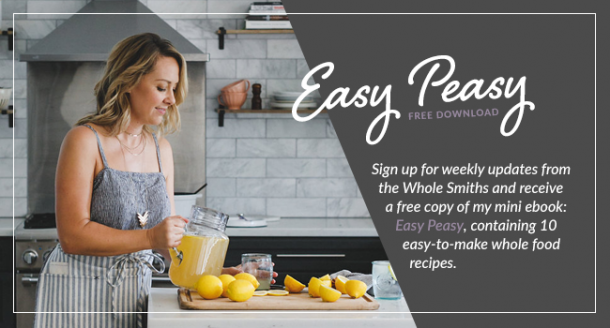 Over the years I’ve learned how to make easy swaps in my diet to be able to sustain clean eating for the long haul. 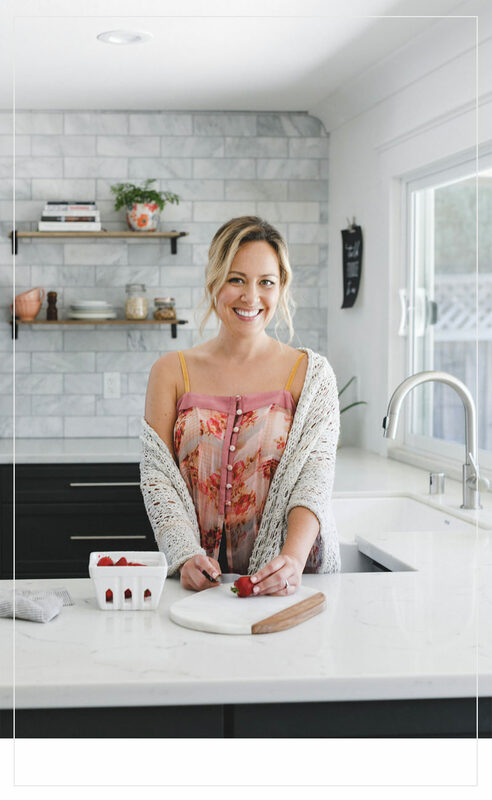 Whether it’s swapping out butter for ghee, “regular” milk for almond milk or white sugar for coconut sugar, finding a cleaner swap that you love makes clean eating so much more sustainable. The easiest swap for me was in terms of our protein powder. So many protein powders are loaded with so many artificial ingredients that reading the nutritional label can often feel like you’re studying up for a college chemistry exam. Fortunately Rootz Nutrition came along and literally cleaned up. You can visit their website here to find out more about their products. 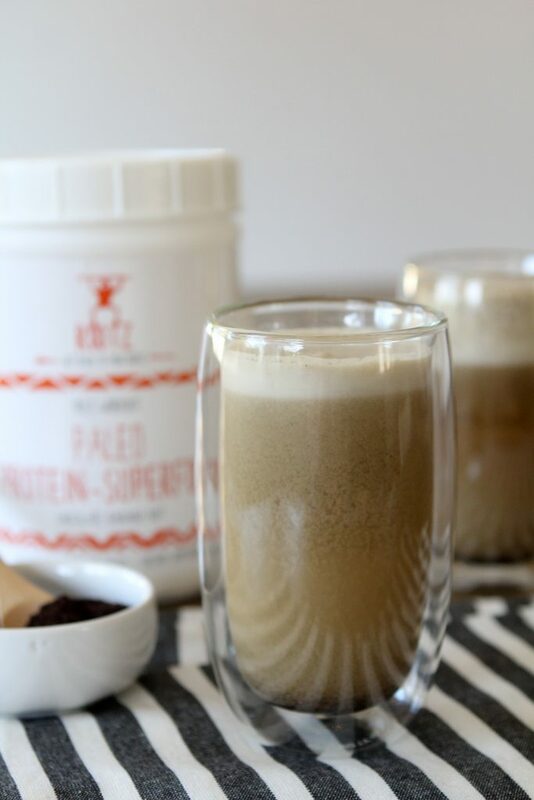 With paleo protein sources, recognizable ingredients and minimal sugar Rootz is the first protein powder that I feel comfortable actually giving to my kiddos. I add it into every smoothie I make for them and they love it. 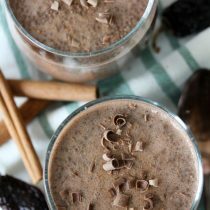 I also made a Mexican Hot Chocolate Chia Pudding using Rootz’ Paleo-Pretein Superfood. 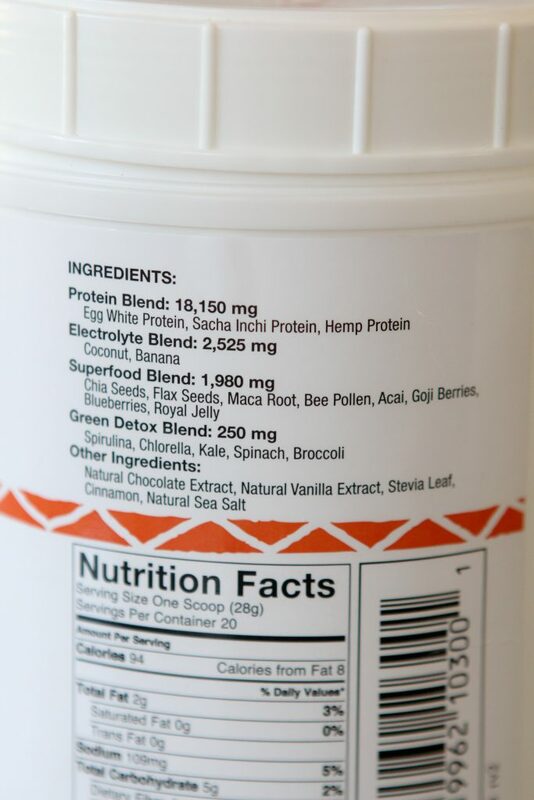 Note that it says “superfood” and not just “protein powder”, that’s because it’s literally loaded with superfoods like mama root, flax, acai, spirulina, and chlorella amongst other good for you ingredients. So whether you’re looking for a clean protein source for you or for your kids, Rootz Nutrition is where it’s at. You can hop over here to order your own. This time around I decided to create one, giant morning cup of goodness for you. Because truly, how many of you run out of the house with your traveler of coffee AND a shake or smoothie? Or want to? Or feel the need to pound one at home before you head out the door? Well look no further my friend. 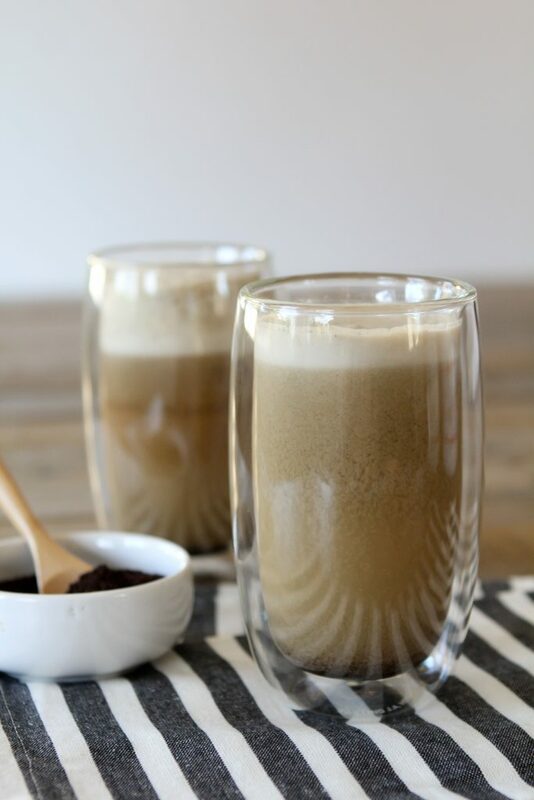 I created a latte-style protein shake that will combine your love of morning coffee AND the health benefits of a protein shake into one delicious beverage. No fancy espresso machines needed, just a blender coffee and some almond milk. A couple of tips. 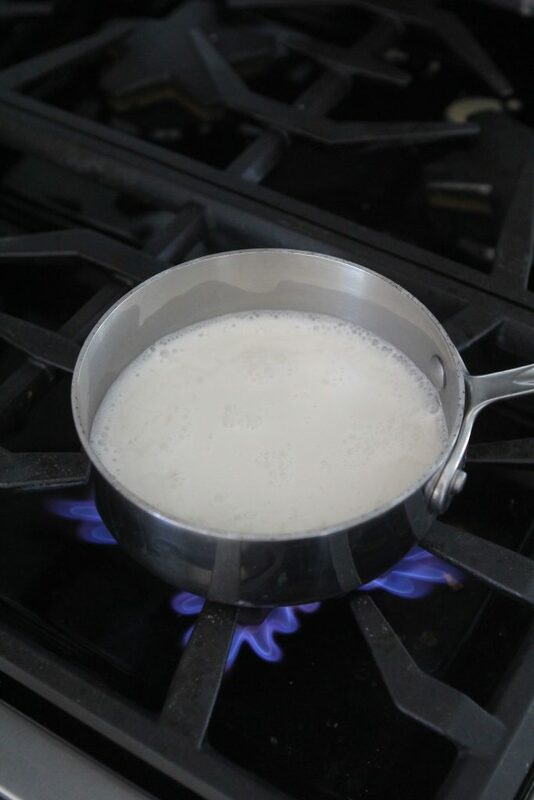 One, I like to warm my almond milk ahead of time so that it keeps the drink nice and hot. There’s nothing like pouring some cold almond milk into a toasty cup to kill the cozy vibe. and second, I like to add some coconut oil to mine for an extra bit of healthy fats and to help keep me filled and fueled through the morning. I just add it into a small saucepan and heat it while my coffee is brewing. Can you tell I’m a fan of cramming as much nutrition into a smoothie or shake as possible? Ok, easy as pie. You add your coffee, coconut oil, warm almond milk and one scoop of protein into your blender and blend. Out will come a warm, frothy coffee drink that loaded with protein and goodness for you. What do you think? If you’d like to try out Rootz Nutrition for yourself, head over to their website here and check it out. Add all ingredients to a blender and blend on high until frothy, about 5-10 seconds.